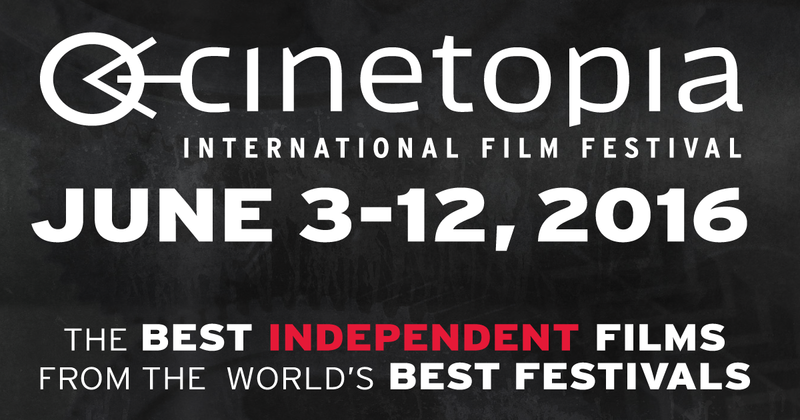 Day two of the 2016 Cinetopia International Film Festival and MCB spent it at Cinema Detroit. 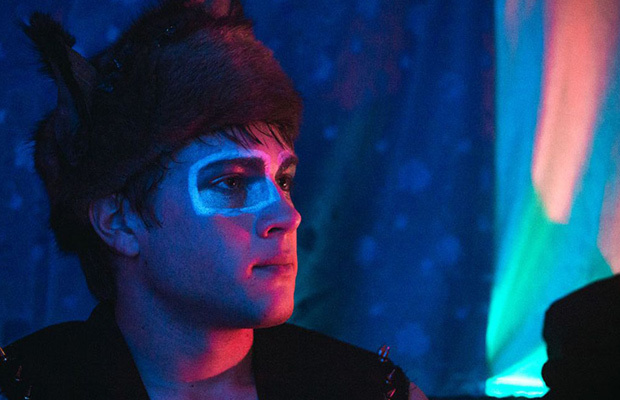 Oscar Madly (CONNOR JESSUP) longs for a life far from his hometown and now divorced parents that can foster his dreams of being a special effects make-up artist. Creativity flourishes in his mind – complete with counsel from his best friend Buffy the hamster (voiced by ISABELLA ROSSELLINI) – but Oscar struggles to bring it to the surface, due to the scars of his youth. Those too have a telling effect on his sense of self, brought out in sometimes visually shocking results by his reckless father (AARON ABRAMS), best friend and confidant, Gemma (SOFIA BANZHAF), and a new, attractive co-worker, Wilder (ALIOCHA SCHNEIDER, named 2015 TIFF Rising Star). Coming of age in the sprawl of Canadian suburbia, Oscar learns that his journey to reach his goal must start from within and will lead to sometimes surreal, sometimes quirky, but altogether life-affirming, necessary results. The talking hamster mentioned above IS NOT some cheesy CGI created hamster as I thought when first reading the films synopsis so have no worries if you thought so yourself. No hamster lips mouth the Isabella Rossellini spoken words. Just a regular hamster that acts as Oscar's subconscious. I really enjoyed this film. It is indeed a coming of age film from a kid who has to deal with a awkward relationship with both his parents, his best friend, and his sexuality within the film. On top of this, he is haunted by the thought of a tragic event he witnessed as a child. The film is very well written and has great cinematography. 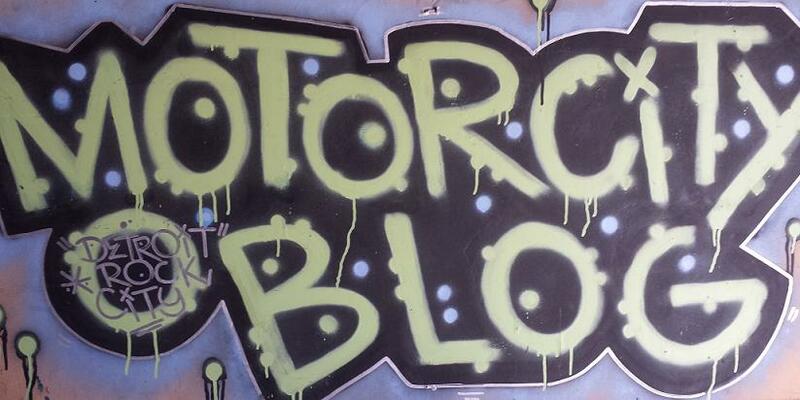 I recommend checking it out. 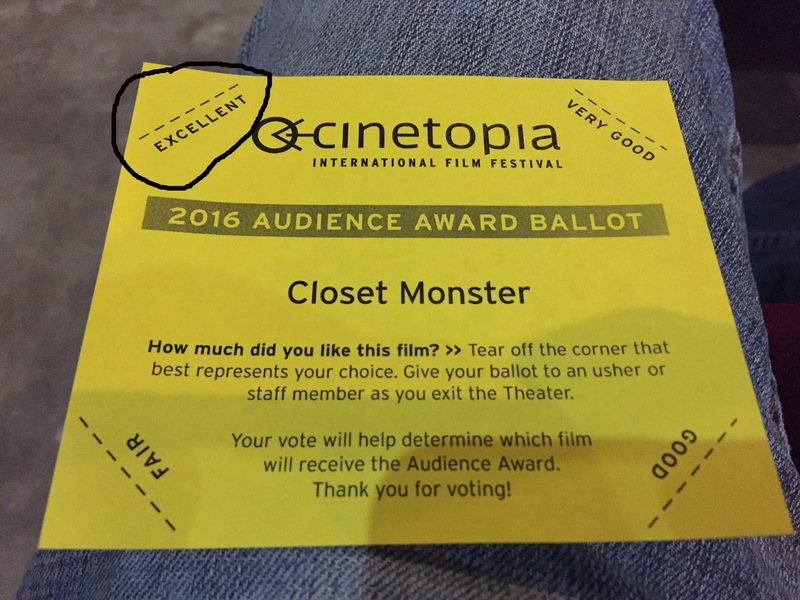 Closet Monster still has a Cinetopia screening ahead and that takes place on Friday, June 10 at The State Theatre (Screen 1) in Ann Arbor. Do yourself a favor and go see it! In 1985, Will Allen, an aspiring filmmaker fresh out of college, joined Buddhafield, a Los Angeles spiritual group led by a charismatic guru. With camera in hand, Allen set out to document the two decades he spent in this community, most of it revolving around its flamboyant leader who steered his followers down a path of love, beauty, and spiritual awakening. However, under the surface lay a sinister world of control, pain, and abuse, resulting in devastating consequences for many of its members. 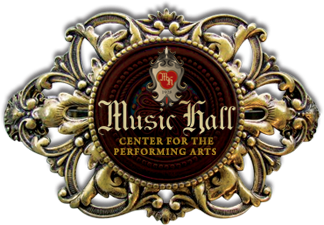 Allen’s extensive archival footage is paired perfectly with the emotionally charged memories conveyed in the first ever interviews of the former members of Buddhafield, culminating in a captivating and chilling look at the inner workings of a cult, the power its leader can wield, and the long-lasting impact these experiences can have on its members. WOW! The cult leader is this filmed is often to referred to as "The Master" by those who where members. He looks like Barry Manilow and prefers to wear speedos and Ray-Bans because he really does think he's that cool. There's so many moments in the film that are hard to believe and that's what makes this film so great- this stuff really did happen! I don't want to talk about the film too much because I feel I would be giving away too many spoilers. You need to see this film for yourself. I'm sure at the end of the film you'll still be asking yourself how in the world do people stay in cults when it's so obvious things are askew. It's a very good question that the filmmaker (and group member) Will Allen was asked at during a short Skype Q&A after the film. He summed it up by saying that it takes a coinciding moment for someone who needs something and someone who wants to take something. It's still not something I can wrap my head around. 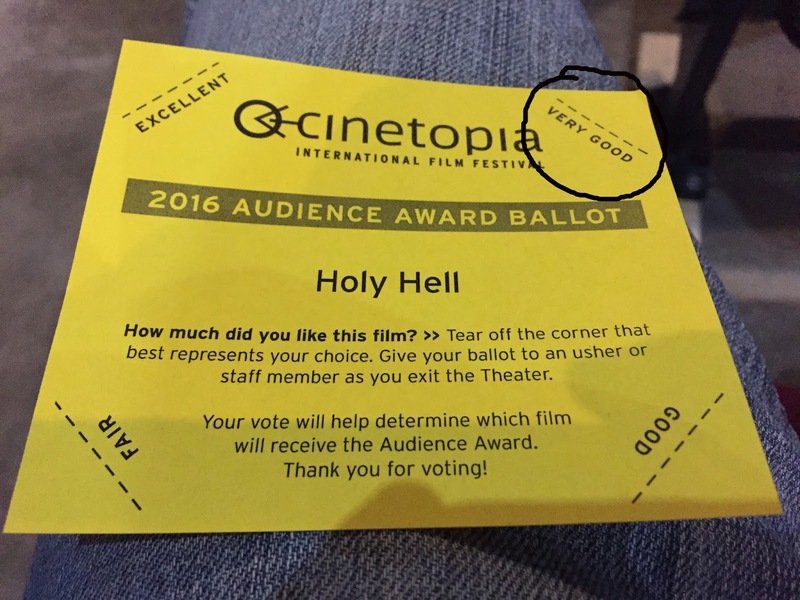 Holy Hell still has a Cinetopia screening ahead and that takes place on Friday, June 10 at The Michigan Theater screening room in Ann Arbor. 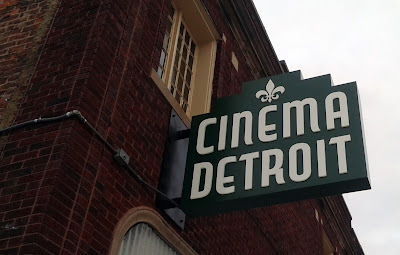 This was my first time at Cinema Detroit's new location on Third Street in Midtown. I was very happy to see they had their own free secured parking lot when I arrived. The inside of the building is a huge upgrade from their old location in the Burton School, but I will miss all the stairs and maze like adventurers that would lay in the old school building. No pool table in the men's bathroom anymore and don't look too hard to find a projector on top of a toilet because there isn't one. But they do have a nice lounge area up front with chairs and a couch. Concessions are still very reasonably priced as well! 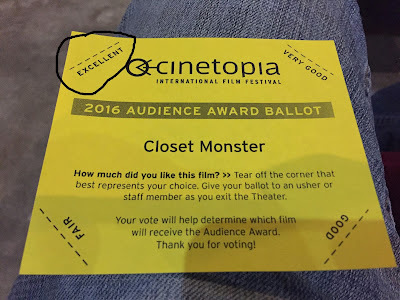 Big upgrades that are included in the new location for Cinema Detroit include better sound, a better screen, and finally some decent chairs that have cup holders! Only downside is the fact that all the chairs are on the same level. This made seeing subtitles during Holy Hell difficult and many people were swaying their heads to get a view of them. Hopefully some form of stadium seating can be in the future for Cinema Detroit. 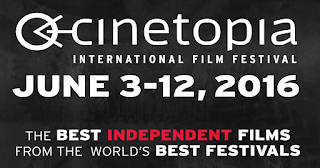 Cinema Detroit is a real deal independent arthouse cinema that is making life in the big city even more entertaining. Owners Paula and Tim Guthat truly have a passion and it shows with all the investment that have put into Cinema Detroit. Keep up the good work guys!